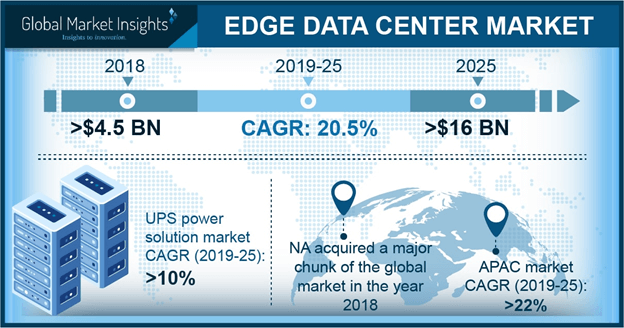 DCIM « Global Market Insights, Inc. 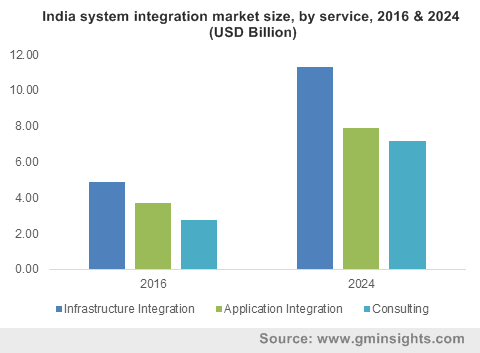 In the present industrial scenario where companies require their systems to work in meticulous synchronization, the role of system integration market is considered highly significant. In an effort to stay abreast of all the developments that have the potential to impact the company’s remuneration, most growing organizations are seeking the deployment of an integrated system that can standardize business procedures and reduce the complexity of processes. For instance, Concept3D, a prominent firm specializing in bringing mapping to the digitalized world, recently declared that it has become an OSIsoft partner, endowed with the capability of integrating & displaying operational data from OSIsoft’s PI System. The cumulative proliferation of the internet and its impact on numerous operations has added a renewed stimulus to system integration industry. The proliferating trend of outsourcing business processes has further led to increased focus on system integration. Advancement in technologies has prompted many businesses to adopt mobile channels to approach and reach their customers easily – a trend that would contribute toward augmenting system integration industry outlook. Among the various segments that contribute toward system integration market growth, integrated building management system would require a special mention. Technological developments in the system integration industry have led integrated buildings to be able to maintain heating/cooling and even support energy conservation, monitor individual power supplies and initiate emergency response. According to the research conducted by the American Society of Heating, Refrigerating and Air-Conditioning Engineers, investing in an integrated building management system can improve the productivity of employees and occupants and save more than 14% in annual costs measured in lost productivity. The rising demand for internet connectivity has led to an increased requirement of hardware and software solutions in the IT and telecom industry, consequently leading to the expansion of system integration market. The emergence of advanced technology in communication services and a paradigm shift of the customer base from wired to wireless services has massively propelled system integration industry from the IT & telecom sector. In this regard, it would be prudent to mention that China has a pivotal role to play in augmenting the regional system integration industry size from IT applications, primarily on account of the evolution of 5G networks and a rise in business consultancy services. China in fact, has even launched a five-year plan to provide internet connectivity to rural areas. Among other major end users of system integration services, it would be imperative to mention the banking, financial services, and insurance (BFSI) sector. The rising demand for online banking and mobile applications will ensure that the BFSI domain emerges as a vital growth ground for system integration market in the ensuing years. The situation is also mainly attributed to the fact that banks majorly require these services to lower ownership costs, improve business processes, mitigate risks, and increase operational efficiency. The high initial costs associated with using these services and the lack of the appropriate broadband infrastructure and network are some of the major factors that might hinder the growth of system integration market. SMEs for instance, are a severely restricted financial budget and hence have difficulty in accessing this facility. However, highly skilled labor has been helping to lower the overall costs of these services and is anticipated to drive system integration industry demand in the long term. More recently, the rising prominence of IoT and the advent of Industry 4.0 have heightened the importance of the interconnection of various disjointed hardware and software solutions throughout the organization. This will unrefutably fuel system integration market share, slated to increase at a CAGR of 6% over 2017-2024. This entry was posted in Sustainable & Smart Technologies and tagged ALM, Application Integration, Application Lifecycle Management, BMS, Building Management Systems, Cloud Integration, Consulting, Data Centre Infrastructure Management, Data Integration, DCIM, Infrastructure Integration, Integrated Communication, Integrated Security Software, Integrated Social Software, Network Integration, System Integration Market, System Integration Market Forecast, System Integration Market Report, System Integration Market Share, System Integration Market Size, System Integration Market Trends, UK System Integration Market.